This article is about the archaeological site. For the insect genus, see Gelonus (genus). Gelonus was, according to Herodotus, the capital of the Gelonians. The fortified settlement of Gelonus was reached by the Persian army of Darius in his assault on Scythia during the late 6th century BC, already burned to the ground, the Budini having abandoned it before the Persian advance. The Scythians sent a message to Darius: "We are free as wind and what you can catch in our land is only the wind". By employing a scorched earth strategy, they avoided battles, leaving "earth without grass" by burning the steppe in front of the advancing Persians (Herodotus). The Persian army returned without a single battle or any significant success. According to some researchers, the Budinis were a Finnic tribe ruled by the Scythians. Excavations at Bilske Horodyshche (uk:Більське городище) near the village of Bilsk near Poltava in Ukraine (Coordinates 50°5′34″N 34°38′46″E﻿ / ﻿50.09278°N 34.64611°E﻿ / 50.09278; 34.64611 ) have led to suggestions by archaeologist Boris Shramko and others identifying it as the Scythian capital Gelonus. It is strategically situated on the exact boundary between the steppe and forest-steppe. Several other locations have traditionally been named by Russian archaeologists, such as Saratov (according to Ivan Zabelin) or a location near the Don River closer to the Volga River. According to Herodotus each side of Gelonus is 30 stades long, the area in today's units would be about 30 square kilometres. The archeological site around Belsk, including necropolis, comprises about 80 km², and the fortifications enclose some 40 km². 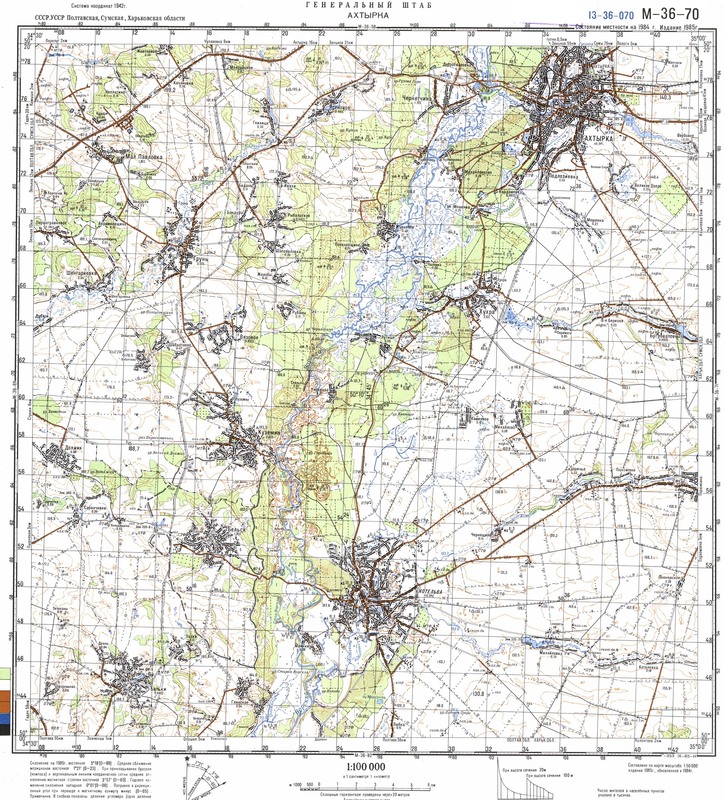 The north-south axis, along the Vorskla River is 17 km long. The remains of walls up to 12 metres are visible today and stretch over the horizon. The total length of the ramparts is 33 km. Inside the fortification, lay three "keeps", 150,000 m², 650,000 m², and 720,000 m² in area, surrounded by eroded earth walls still up to 16 metres high. Several kurgans reminded the inhabitants of the ancient Scythian burial tradition. In Greek mythology, Gelonus was the son of Echidna and Heracles, he had an older brother Agathyrsus and a younger Scythes. Hylea is pointed to be where was the Echidna's cave between people Arimi or Harimi, the Greeks on the Euxine believed that this was somewhere in Scythia. ^ Herodot iv 8-10 L.S. "Archived copy". Archived from the original on 2007-02-02. Retrieved 2007-02-09. CS1 maint: Archived copy as title (link) e p-3. Мурзін В., Ролле Р., Супруненко О. Більське городище. – Київ-Гамбург-Полтава, 1999. – 104 с.
Боплан Г.Л.де. Опис україни. – К., 1990. – 254 с.
Шрамко Б.А. Крепость скифского времени у с.Бельск – город Гелон // Скифский мир. – К., 1975. Шрамко Б.А. Бельское городище скифской эпохи (город Гелон). – К., 1987. – 182 с.
Більське городище в контексті вивчення пам’яток раннього залізного віку Європи. – Полтава, 1996. – 408 с. In Greek mythology, the Amazons were a tribe of women warriors related to Scythians and Sarmatians. Apollonius Rhodius, at Argonautica, mentions that Amazons were the daughters of Ares and Harmonia. They were brutal and aggressive, and their main concern in life was war. Lysias, Isocrates, Philostratus the Elder also say that their father was Ares. In Greek mythology, Echidna was a monster, half-woman and half-snake, who lived alone in a cave. She was the mate of the fearsome monster Typhon and was the mother of monsters, including many of the most famous monsters of Greek myth. 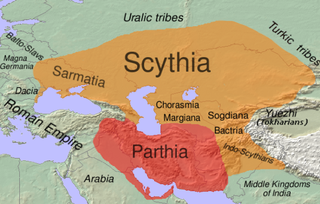 Agathyrsi were a people of Scythian, or mixed Dacian-Scythian origin, who in the time of Herodotus occupied the plain of the Maris (Mures), in the mountainous part of ancient Dacia now known as Transylvania, Romania. Their ruling class seems to have been of Scythian origin. The Budini was a group of people described by Herodotus and several later classical authors. Described as nomads living near settled Gelonians, Herodotus located them east of the Tanais river beyond the Sarmatians. 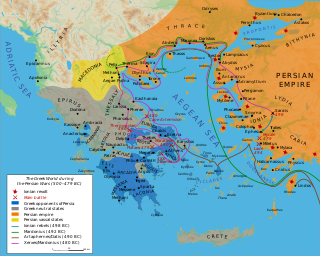 The Gelonians, also known as Helonians, are mentioned as a nation in northwestern Scythia by Herodotus. Herodotus states that they were originally Hellenes who settled among the Budinoi, and that they are bilingual in Greek and the Scythian language. The Military Cathedral of Christ's Resurrection was built between 1706 and 1719 as the first stone church in the Lower Don region. It was the main Christian shrine of the Don Cossack Host in the 18th century. It is situated in the stanitsa of Starocherkasskaya, Rostov Oblast, Russia. Khotiv hillfort is a hillfort of early Iron Age in the village of Khotiv, Ukraine.